Singapore's Premier Preserved Rose Specialist. Luxury Preserved Roses that Last a Year. Refer to 4 - 5cm Roses Color Chart. Gift the magic from Beauty and the Beast. All domes include petals on the base in complimentary color to rose color. Recommended for evening deliveries, Batteries provided. The delivery team will only switch on the lights upon reaching the delivery venue. A Premium Acrylic Home Décor. featuring our Enchanted Preserved Roses. ​These stunning, crystal clear products feature a top layer of Preserved Roses, protected by a clear acrylic lid. The Perfect Gift for a lady's bag. ​Price includes Regular Courier service (not time slot specific, estimated 3 working days - tracking included). Awesome customer service, prompt replies and delivery. Items was received as promised and my sister love the enchanted Rose so much. Product is in the most excellent standard, we love the extra mile service given by the Founder of Enchanted Fiore as she is very precise and detailed when it come to her product. She told us in details how to keep our ROSES in their tip top condition in order to have it preserved to its best conditions. We will definitely come back for more because you can trust them totally. Friends has been asking me where did i got my flower from ever since the first purchase. Few of them went to buy from your shop! Gonna recommend to more of my other guy friends! Excellent service from you guys! ​I hope yall can keep this business going! Cos i am gonna make it a yearly affair thing to buy it from yall during me and my gf anniversary! - Andy Lau. Thank you!!! She loves it!!!! ​Great service! Will come back definitely! - Svetlana Garanina. I dont like it, i love it! It looks awesome. ​Thank you so much for accomodating to my request and making the process easy for me! I really appreciate it. - Farhan Z. Very prompt and helpful in their replies. The flowers are nicely arranged as seen on the pictures and safe delivery is ensured. OMG , So so beautiful. It is even more than what ive expected. Thanks so much for such a quick service! Thank you!!  Im tearing just looking at the pic, you cant imagine. I will tell my sister abt yr excellent service. You guys made this possible. Am very sure she is going to love the gift! ❤ Thank you once again. May yr business be blessed w bountiful of success. You've made my Sunday! - Huraizah. Extremely fast and superb service by your side. Will definately recommend to my friends. She loves it! - Farhan. ​Received the product in timely and good condition! Thanks for the great service!! :D - Reginald Chua. Well received. Thank you for all the patience and prompt response. Deeply appreciated! - Edwin Yew. Everything is good. Great service as well!  It was raining quite heavy this morning and EF managed to keep it dry. - Adeline Ng. Tq for e prompt delivery. e rose is simply beautiful n luv e way it was presented. - Alvin Hum. Thanks so much for the awesome service, will definately recommend to my friends! - Louis. Great! Thank you! The flower is very nice! If i had known it could last a year, i would have gotten bigger ones. - Farhan. Thanks again for everything. Will be sure to support enchanted fiore and recommend friends looking for preserved roses :) - Ignatius. She is happy with it. Great customer service by the way. Thanks for accommodating to my last min request. Appreciate it. - Norman. ​Beautiful Rose design... Wife was surprised and cant stop smiling looking at the flower. When i switch on the light, it transform into magnificent Rose showcase... Thanks - Fadli. Omg it looks so beautiful. Thank you so much! She's really happy. Thank you so much for your thoughtful help! Highly appreciated. I'll definitely come back to enchanted fiore again! - Jeffrey Wu. 10/10 for the flower dome. It looks amazing and extremely beautiful! Thanks! - Christopher Wong. ​Hey! Really thanks a lot! I jus opened the things that I bought! Is really nice! And the service is really good too. Appreciate that. - Tan Wan Ying. Thank you so so so much! ​Have never regret re-order from you :) - Ang Hui Ting. Thank u so much. Its very nice! - ​Muhd Saidun. Wow, very nice. And really worth the money. Really impressed. - Akila. I have received the delivery order just now! Many thanks for the product :) We are very impressed with the order. Many thanks again for your services! - Wong Ming Jie. 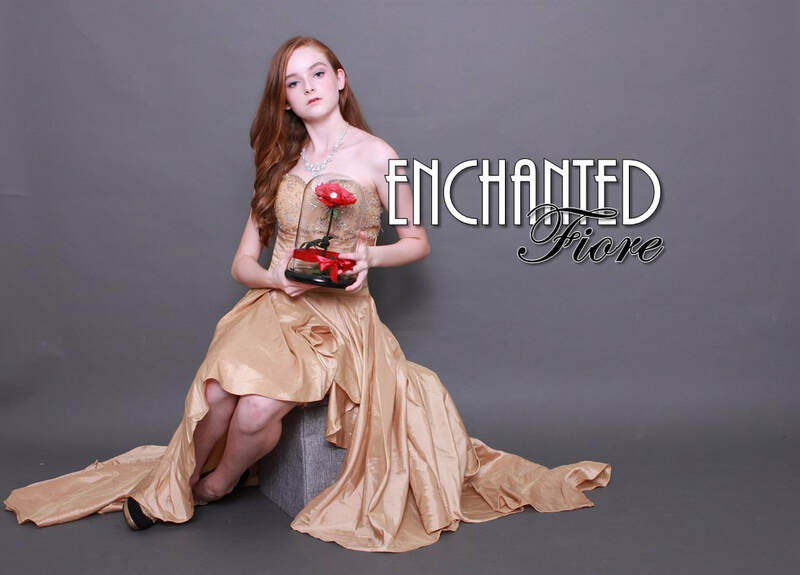 BIG BIG SHOUTOUT TO ENCHANTED FIORE ! Reallyy thanks for the awesome Service !  - Chua Yong Li. Great flowers, Great service, Great experience... Thank you. - Kevin Loh ​on Facebook. IT LOOKS GREAT 蠟 thank you so much. i really appreciate it. - Joey Cheng. Thank you. She got it and loved it very much. ​Hope to get explore more options next time! - Kavi. ​Item delivered. Thanks a lot to u n yur team. Really appreciate d efforts n d assistance. N my gf loves it.... - Suresh. I receive the package today! Omg it's so nicely wrapped I have no heart to open it to see. Have to wait till my Boyfriend unwraps it. Thank you so much for putting effort into such details! I would wait till he unwraps it to see the rose myself. thank you for being so attentive. you guys are great! im glad i chanced upon your insta - Vila Nair. She loved it!! thank you.. you will be getting my recommendation to friends and family, and definitely more of me as a customer. - Mint Tremonti. Looks so nice  The blue rose looks great. I transferred a tip. Just take the $__ for your great service  Thank so much for your services  - Balan. ​Got it in the mail today! Really secure packaging. Appreciate it. Thanks a lot :) - Shaan. ​Hi dear. Received the enchanted. OMG! it is soooo beautiful. I just cant describe it with words. Thank you soo much for the amazing service. - Julia. ​Received, thank you, excellent quality for product and services. Will order again in future. - Benny Liu. Received in excellent order. My gf love it alot. Keep up the good work! - Alvin. We received the package in good condition. Just wanna say thanks for your help and I am sure to buy more in the future. Thanks once again  - Faeez Talib. Thank you so much!!! Will definitely put you guys as my first choice in gift giving. - Fion Sung. Thank you so much!  you guys provide a very wonderful service. Thank you. - Amir. Perfect!! I love it!! Thank you again... It is sooo gorgeous! 100% Best service ever!!! Great Team!! - Sharifah Nurhajar. ​Your service is excellent !  - Louise. Thank you so much! You guys are fast and sweet! It looks perfect and I know my bestfriend will love it! Black roses are super rare. I have been following your insta page for a long time now as I wanted to get her this for her birthday! Thank you for the amazing service! - Monikca. Fast and good service. Very happy dealing! - Sebastian. Really happy with the flowers. - ​Siddadtho Zeet. Thank you so much!! She loves it, amazingly well done.  - Joshua Zhou. I will always come back for gifts! thank you so much for being so accommodating ​to my insane requests! - Fion Sung. Got it alr.. Thank u so much. It looks beautiful, She loves it.. - Shayden Shah.